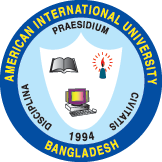 The students are encouraged to have their registration from outside (home, cyber café, other sources) through using www.aiub.edu. Computer labs at Campus 2 & 4 will be dedicated to pre registration as per the availability of the facility. CL 2, Campus 4 will be used for the probationary students and special cases. Without the TBI report the students will not be able to log in for pre-registration.